From icon food innovations like Minnesota’s Juicy Lucy to oft-misunderstood local favorites like Mississippi’s Koolickle, the unique foods found in every state can reveal a lot about its people. 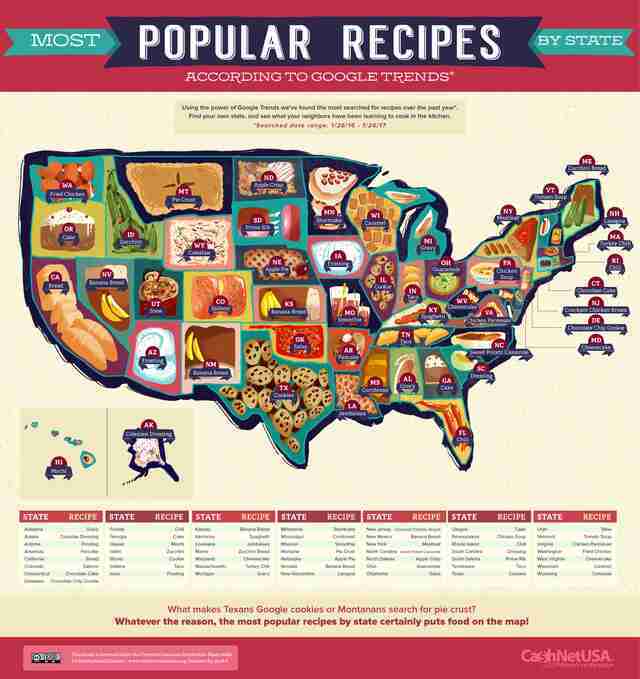 Perhaps even more interesting, though, is what make-at-home dish each state likes to cook for dinner. 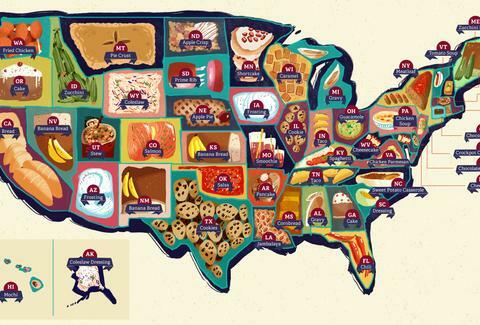 A new map shines light on exactly that by revealing the most-Googled recipes in every state.